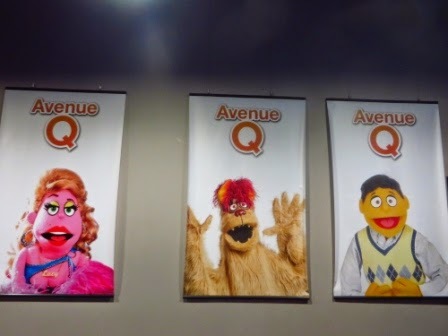 Gord and I saw Avenue Q this evening. 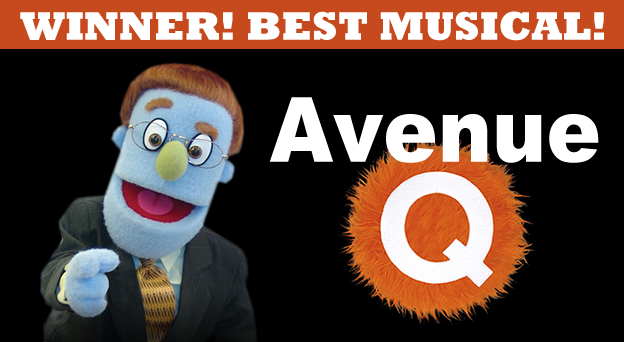 "Avenue Q" tells the story of Princeton, a bright-eyed college grad who moves to NYC with big dreams and a tiny bank account. The only apartment he can afford is way out on Avenue Q, where everyone’s looking for the same things he is: a decent job, a stable relationship and a “purpose.” Eventually, Princeton learns to embrace the ups and downs of city life and realizes that “the real world” isn’t so bad, after all! *Not intended for children. 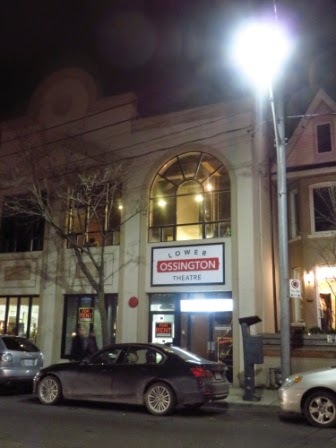 It's playing at the Lower Ossington Theatre, which is in our 'hood, 'til December 21. I've resisted seeing it over the years because it looked dumb. Puppets?! Seriously??!! But since it's playing in our 'hood I figured it was a good opportunity to check it out since I'd heard good things about it ... and I'm glad we did because it was more than good. It's really funny and definitely not for kids. There is lots of swearing and there are adult activities and themes. I was wondering what it would be like seeing puppets and also being able to see the people working the puppets. It was interesting because the people working the puppets had the same facial expressions the puppets would have and surprisingly it wasn't distracting. The dialogue was funny as were the songs. It seemed at times, though, that the music was a bit too loud and it was hard to hear what the singers were saying. Plus I found that Christmas Eve's (Phoebe Hu) accent was too strong so I had a hard time understanding what she was saying at times (plus she spoke fast), which is too bad because Christmas Eve is a hoot! 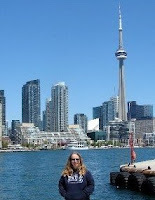 I enjoyed it and am glad we went to see it. I'd recommend it! How funny! Chris and I just saw this in NYC on Friday! We liked it, too!